Women of Color Self-Care Retreats are an exclusive intimate setting where I personally host 3-5 women at a time in a beautiful jungle home. 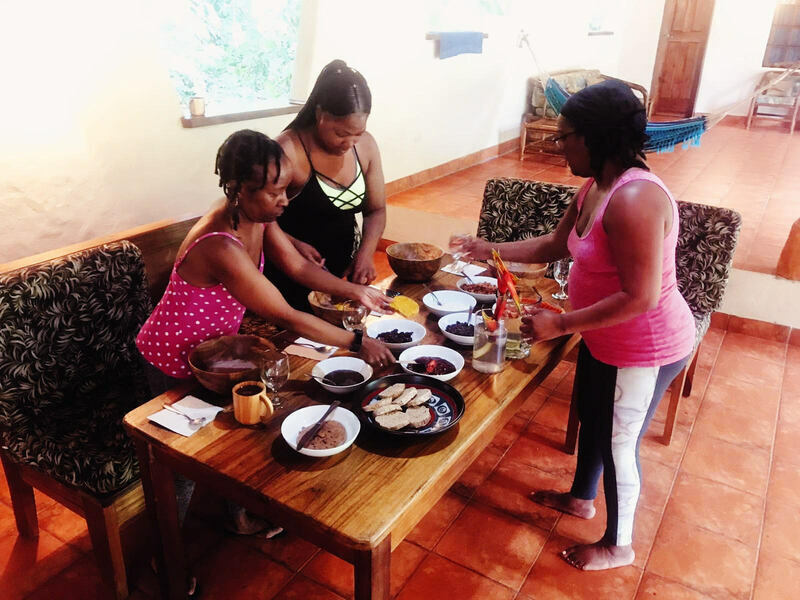 Rather than a retreat center, we stay in a big, beautiful jungle house where we will share meals at our communal table and snuggle on the sofa after a sweet day at the beach. 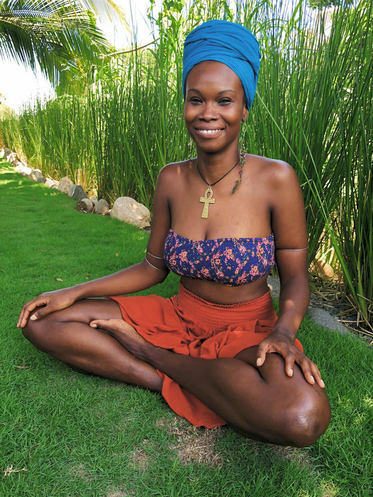 You can expect gentle yoga practices, nourishing plant-based meals, group sharing, and peace with self on the tropical beaches in the Caribbean. There will be plenty of leisure time, during this time you can explore the beautiful Caribbean of Costa Rica or take some well needed rest time. ​Traveling and living abroad has allowed me the opportunity to embody and manifest a life style of genuine self-care. This immense practice of self-care has allowed me to build my own empire, live abroad, co-author a book, be on television and assist black women in resetting while being a globally known wellness influencer. You can learn more about my journey here. Self-care is prioritizing yourself first. It is listening to your mind, body and spirit. It’s taking care of yourself on a daily basis. Self-care is vital for women of color because Black women are too often taught to put everyone else’s needs before their own. As women, we tend to be nurturers and supporters by nature, but this nurturing and supporting of everyone else's welfare, can leave us feeling burnt out. The intimate self-care retreat is a chance to unwind from the burn out that you may experience from everyday life. Sometimes we just need a reset button, without any distractions just to connect back with ourselves, in order to restore and rejuvenate. It’s the perfect opportunity to take some well deserved quiet time. ​I want to experience a self-care retreat with a friend, is this possible? The Women Of Color Self-Care Retreat is intended for solo travelers, each participant arrives solo and will meet new people at the retreat! 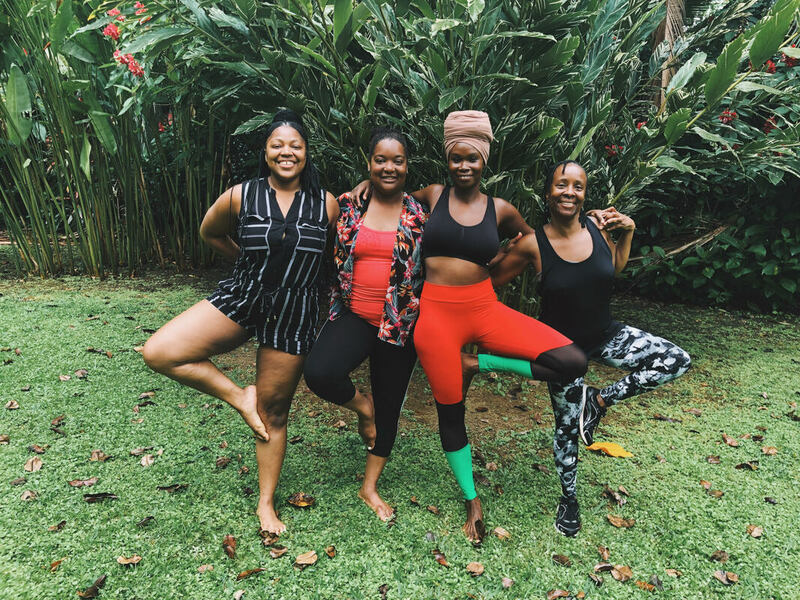 If you are interested in attending a retreat with a friend and you are interested in having a private self-care retreat with a group, reach out to us with the dates you are interested in. ​Private Self-Care retreats host 3 people minimum/ 5 people max. ​Check out the Caribbean of Costa Rica here! "Give yourself to yourself before you give yourself away." ​Women of Color Self-Care Retreat is a vegan retreat, all meals are cooked with quality ingredients. Animal by products are not allowed within the retreat space , no exceptions. We provide delicious plant-based meals by our private vegan chef. As we abstain from animal by products in the kitchen, we also abstain from alcohol throughout the retreat. This abstinence will be in effect whether guests are in the retreat, or are enjoying some well needed personal time. Our goal for the alcohol cleanse, is to keep the vibrations high so that you may have a meditative and restorative experience. Indulge in a tea lit restorative meditation and yin yoga class or meditation and women's circle. Medicinal plant tour led by a local medicine man. Delicious plant based breakfast will be packed for you. You will visit a local medicinal plant garden to learn about the indigenous natural treatments and healing powers of the plants, trees, roots, leafs, barks etc. You will also engage in the ancestral organic process here in Costa Rica. You will sample up to 5 different chocolate flavors. You will attend a small lecture on medicinal plants and their use by a local indigenous family. Gentle yin yoga for deep release in the connective tissues. Enjoy the sweet surrender of connecting with your breath or immerse yourself in a deep meditation followed by a women's circle.